UPDATED A major roll-out of BBC Local Radio on Freeview has commenced today, with further stations confirmed as coming later in the year. Viewers in most parts of England can now access at least one BBC Local Radio station, located between Freeview channels 719-722, following the launch of Local Radio in three regions last year. 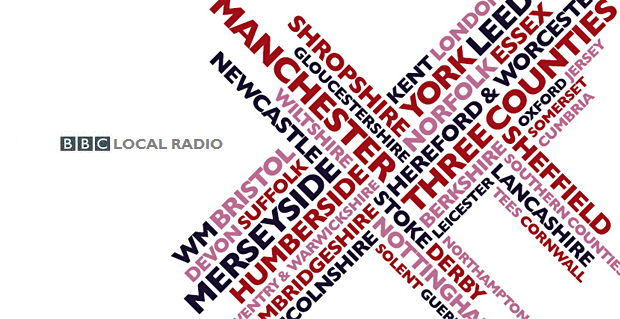 The stations are broadcast alongside other BBC radio stations on Freeview. Initially, the radio stations co-located with the relevant BBC regional TV service for each area have been prioritised for the roll-out, but there is sufficient capacity for additional services in the future. Stuart Thomas, the head of the BBC in the East Midlands said on Twitter today that BBC Radio Derby and Leicester would be added to Freeview "later this year", for viewers who receive East Midlands Today as their regional service on Freeview. "We plan to launch more Local Radio stations on Freeview over the course of 2015, however we have to complete more technical work before this is possible. We thought it better to launch the stations we’re able to now rather than waiting until other stations are available. " In Scotland, Wales and Northern Ireland, two additional services serving each Nation are already carried on the BBC's Freeview service. It's easier to roll out the cahnnels on Freeview due to the succint broadcast areas but what about the millions of viewers to satellite? Particularly Freesat? Restrictions can be placed on what station appears on the EPG due to postcode so as a "platform neutral" organisation shouldn't the BBC be delivering for satellite viewers as well - those who want to listen to radio broadcast at a decent bit rate?